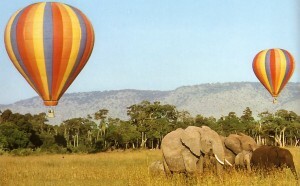 Hot air balloon safari is an adventure worth a try when planning to visit Masai Mara. 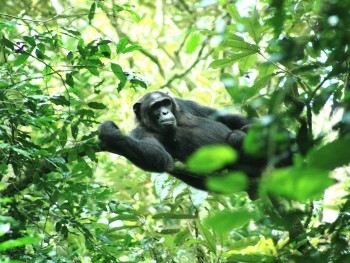 Masai Mara is one of the famous tourist destinations in Kenya and Africa at large. Masai mara is located in the Great rift valley with vast plains inhabited by a massive number of animals and hosts one of the spectacular annual events – the wildebeests migration where over two million ungulates move for long distances from Serengeti National Park in Tanzania and back in search of green pastures. 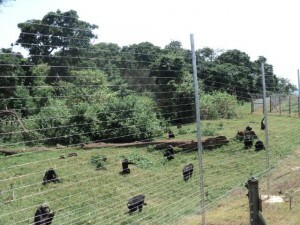 During this event, visitors get a chance to witness predators like lions hunting the weak ungulates. 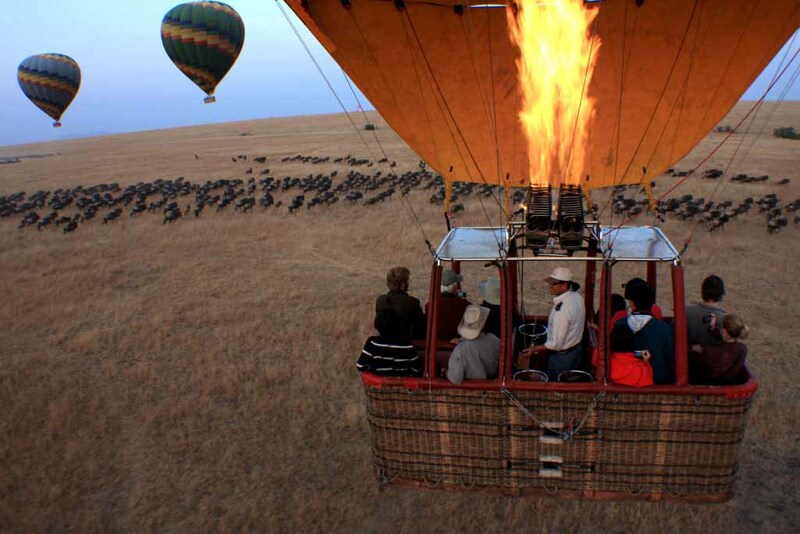 Masai mara offers exceptional ways of game viewing, from on high in a hot air balloon safari. Its a magical feeling and great fun watching the sunrise, enjoying stunning views of the reserve, viewing lots of game; lion, leopard, big five, giraffes, zebras, antelopes,crocodiles, hippos, and birds, whilst the basket and covered with multicolored canopy. The most fascinating part of this trip is the stillness as you float reasonable meters high above the rolling plains, rivers, and forest. In the rolling plains of Masai Mara are plenty of wildebeest, giraffe, zebra, gazelle, impala, and topi, and black rhinos though these are not so exposed. There is also a good number of predators seen that include lions, leopards,cheetah hyenas, bat-eared foxes and jackal. 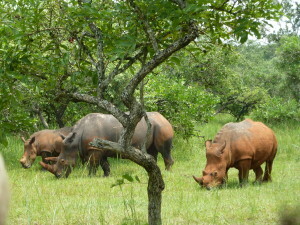 Black rhino are a little shy and hard to spot but are often seen at a distance. Masai Mara is also traversed with Mara river where the actual magic happens, during the wildebeest migration, the ungulates cross the mara river, its at this point that you witness the hunting dramma. The migrating ungulates are exposed to many threats from the big cats, and hyenas, yet still whilst crossing the mara river crocodiles are a serious threat, they lay in expectation of the meals from the weak and crossing wildebeests. Masai mara offers one of the best game viewing experiences in Africa and almost every one who has visited Masai Mara raves at its beauty and density of animals. The Hot Air Balloon safari starts at dawn with the launch of the Air balloon, it is the first fun you will experience, you get to see flames from the balloon as it gets filled and then lifted into the sky for the game viewing to start. It be a full hour of soaring, floating and drifting in the sky above the plains, the direction of your flight depends on the flow of the air currents, and enjoy the silence filled with great memories whilst game viewing. After the flight, a luxury bush champagne breakfast awaits, when done, guests are driven back to the lodge/camp with en-route complimentary game viewing. This entry was posted in Africa Safaris Blog, Kenya Travel News and tagged Africa Safaris Blog, Hot Air Ballooning, Kenya safari, masai mara by Gorillas & East Africa Safaris. Bookmark the permalink.